What is one of the most important things to look forward to when you sign up for a new service? 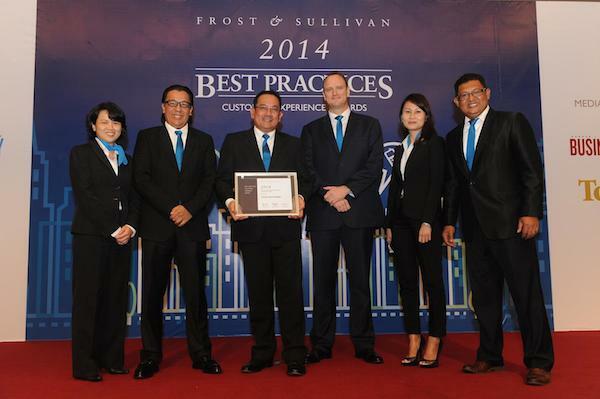 A good after sales service of course, Celcom was recently rewarded a Frost & Sullivan award for the best customer experience in the telecommunications industry at the inaugural Frost & Sullivan Best Practices in Customer Experience Awards program. The selection of the award is based on several criteria, namely customer loyalty and likelihood of buying future products, satisfaction with telecom services, satisfaction with in-store or retail services, satisfaction with contact center channels, confidence level for future services, overall customer experience, customer recommendations, listening to customers, and purchase additional services. “This success could not have been achieved without the continuous and unwavering support of our customers. I would like to thank all of our over 13 million Celcom customers for choosing to be part of Celcom Territory to enjoy the fastest and widest network coverage, and making us their number one choice mobile telecommunications service provider in the country. We certainly would not be where we are today without our customers.” – Dato’ Sri Shazalli, Chief Executive Officer of Celcom Axiata Berhad. On top of aiming to provide the best customer experience for subscribers, Celcom also mentioned that they are continuously working on improving their services too, like the rapid LTE deployment and maintenance of unparalleled network with relenting focus on areas beyond Klang Valley. Celcom recently invested RM923 million for CAPEX in 2013, the highest in the industry, mainly on network modernization, LTE and IT transformation, and another RM1 billion this year in CAPEX to improve network quality and capacity for better customer data experience. Keep up the good work Celcom, and let’s hope the rest of the local telcos follow suit in aiming to provide the best customer service to subscribers.